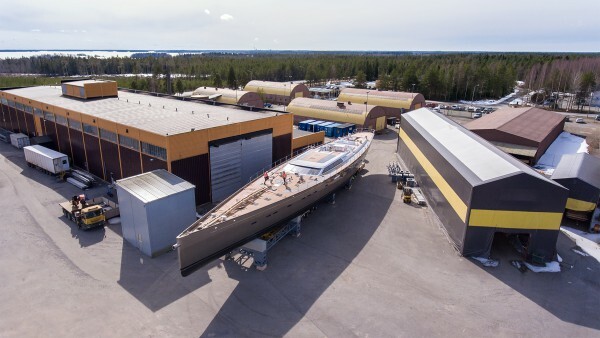 The all-carbon composite, 160-ton, silver sloop was transported over a distance of 21km at an average speed of about 10km/hr by a specialist low-loader from Baltic Yachts’ inland facility at Bosund, Finland, to its waterfront yard in Jakobstad in preparation for final fitting out and launching on 12 May. 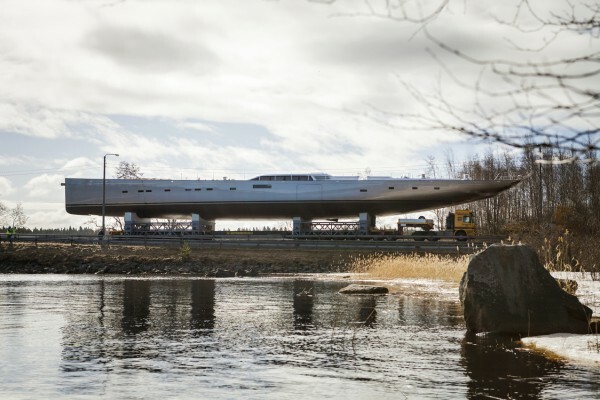 Baltic Yachts was given permission to widen the road in places and temporarily remove traffic signs so that the unusual load could travel the route safely. She is now awaiting the stepping of her 67.9m carbon fibre mast and installation of her 71-ton, two-stage lifting keel. 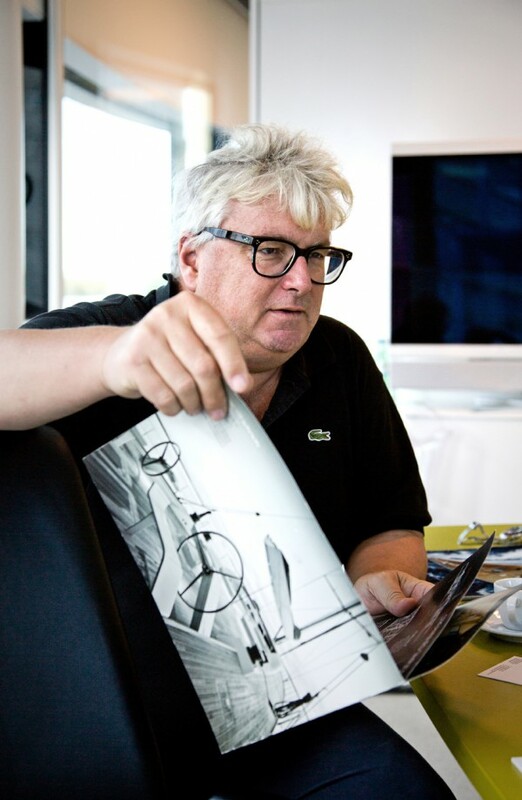 Delivery to her serial owner, Professor Hans Georg Näder (profiled in issue #176 of The Superyacht Report and pictured above) is scheduled to take place in mid-summer. 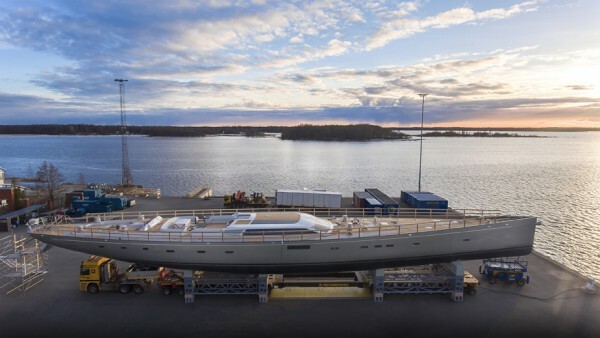 Näder holds an 80 per cent stake in Baltic Yachts and the new yacht is his sixth vessel of the same name. 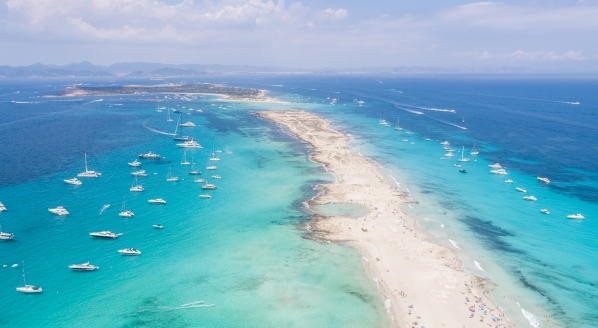 As CEO of the Ottobock medical technology group based in Germany, he views the superyacht industry as fertile ground for disruptive design and technology, and Pink Gin VI is a prime example of this philosophy at work. 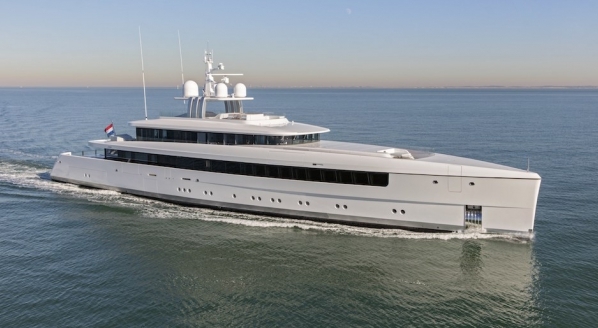 With naval architecture by Judel/Vrolijk and interior design and styling by Design Unlimited, key features include two balconies that fold out to form openings in her topsides, unusual features in a sailing yacht. But her innovative design goes beyond size and the use of advanced composites in almost every aspect of her construction. 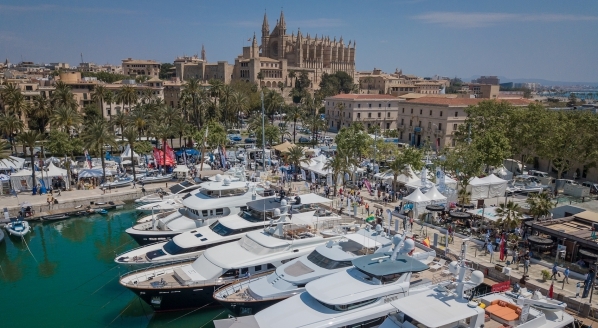 The yacht will also feature Baltic’s Force Feedback System, a revolutionary electronic steering package derived from the automotive industry that mimics the nuances of load and movement. 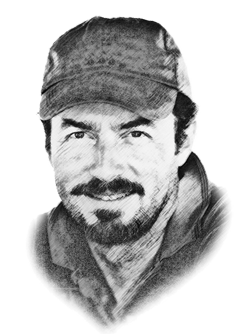 One of Näder’s first actions on acquiring a majority stake in the company was to install Henry Hawkins, his former captain, as CEO. 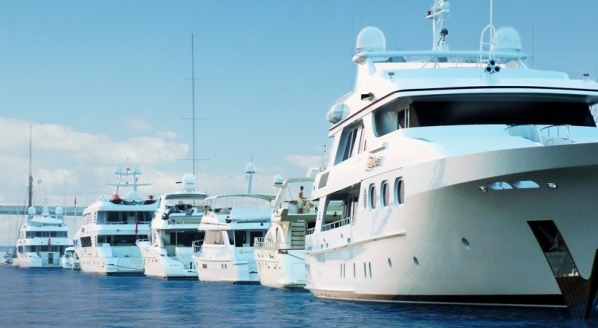 To reignite the Finnish brand in today’s challenging market, they are now taking Baltic into more unfamiliar motoryacht territory.